This 1982 Corvette was custom made into a convertible. There were no factory made convertibles built after 1975. 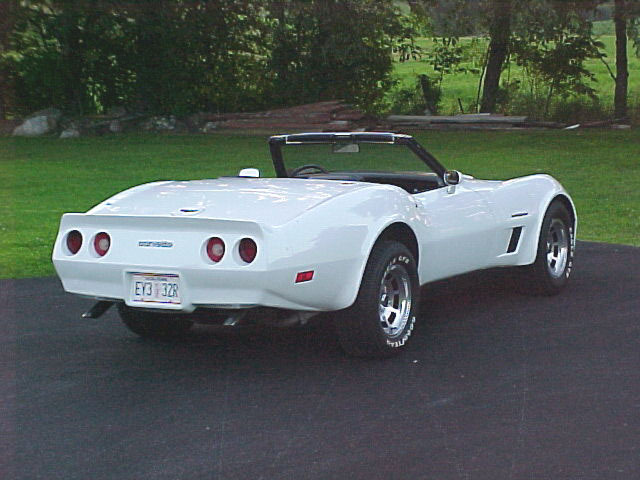 All 1982 Corvettes had the crossfire injected 350 Ci 200 Hp engine with 700R4 automatic transmission. A manual transmission was not available in 1982. The 1982 Corvette was the last of a generation of corvettes. Its basic body shape dated to 1968, and its chassis to 1963. This was the first year for the 700R4 auto trans. The first year for crossfire injection. The first year to have a base sticker price over 20K. Hoods on the 82 had solenoid operated doors to direct fresh air directly into the air cleaner during full throttle.